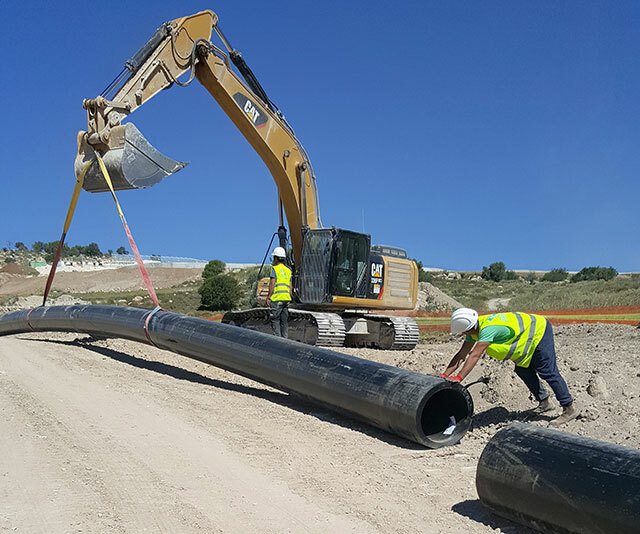 The Municipal Water Company of Beit Shemesh (Israel) in cooperation with the Ministry of Construction and Housing of Israel required to install a main potable water supply line from Mekorot to the city of Beit Shemesh. 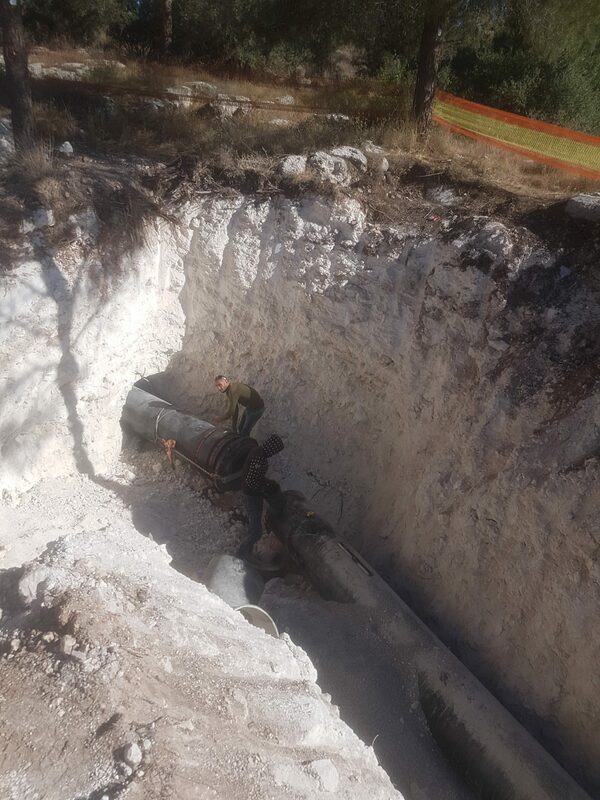 The line brought high pressure water from Mekorot, and goes along a national route to a reservoir that supplies drinking water to thousands of housing units in the developing Ramat Beit Shemesh area. The line connecting the Mekorot station to the water reservoir runs along a very complex rocky road characterized by many twists and turns, within a forested path protected by the authorities, at altitudes close to 100 meters, and ancient areas that are forbidden to be excavated. 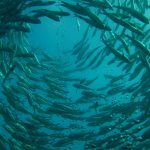 To implement the project, it was required a pipeline that could cope with a combination of high pressures, a very dynamic pressure regime and to be suitable for transportation and installation under very aggressive conditions. In addition, the pipe line needed to be anti-static and / or a pipe made of insulating material that would be impervious to electric shocks since a parallel pipe line was placed with power lines. The outstanding capabilities of Pexgol pipes led to the selection of this reliable system for the installation. 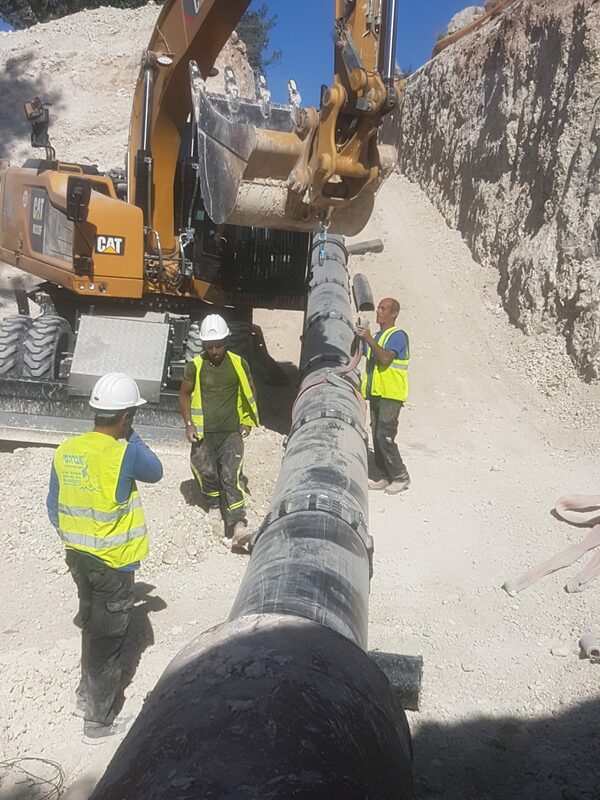 To meet the strictest standards in terms of quality, safety and preservation of the environment a Pexgol pipe line of 1.3 km was installed. The installation was done 15 meters underground in a very harsh environment that required constant dragging of the pipe. The natural bending radius of the pipes were key to the success of this project. Furthermore, the line was capable of supporting water hammers caused by the pumping from the Water Company. Additionally a 200 meters section was installed by horizontal drilling inside an existing steel pipe line. The Pexgol pipe section for this part was cover with plastic spacers to separate it from the current pipe. Overall the installation took 20 days without any special equipment. 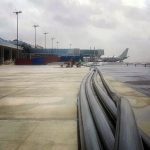 With other pipe materials such as PE, it could take 3 or 4 times more since extreme precautions needed to be done to avoid damaging the pipes and connecting between sections on this harsh terrain.